I am always eager to try something new and different for work. 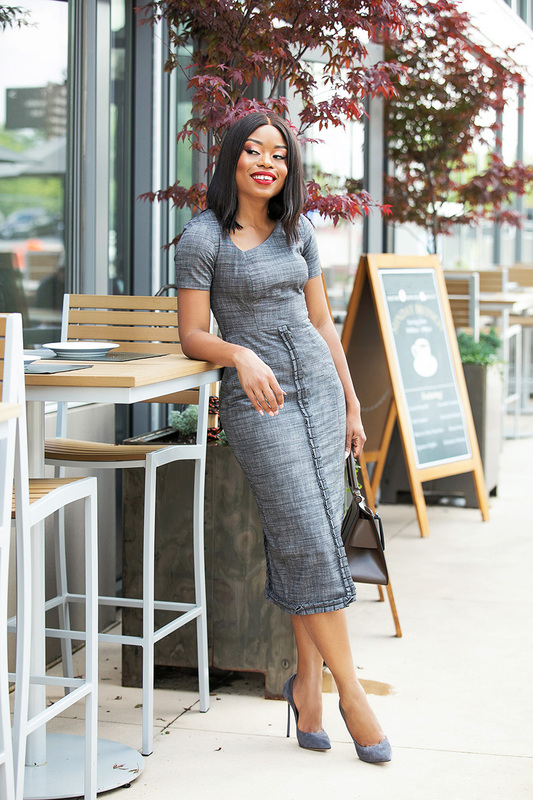 This asymmetric dress has unique cut and details which gives off a chic style for work. Love the neckline, pleated details and the high-low hemline...perfect for work this summer and beyond. 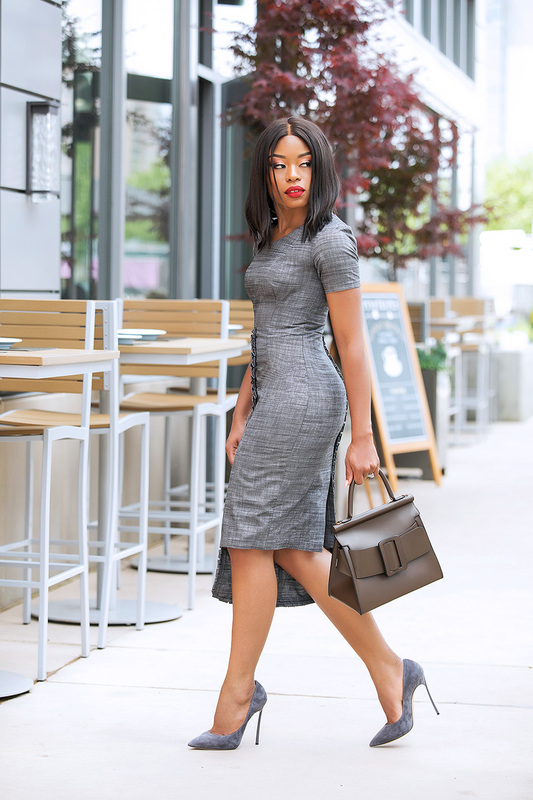 A grey work look with subtle unique details as seen with my pencil dress is a great piece to wear to the work and after work events. How are you ? let me tell you for the sake dress,I don't understand the price in the site . Hi Natchie, The prices are in Nigerian currency, Naira and their payment system and PayPal does the converting for you. You can also send them an email, they are quick to respond or whatapp contact +2348172929292. Hope that helps. Just pretty! Loved this dress. It looks so professional with a decent color. A very good choice to go with.